I've been on a bit of a sabbatical lately. I didn't want to leave you guys high and dry so here's a great post by Jess from over at Tripelio, about traveling to the UAE. There have been some amazing ticket deals lately to the UAE and tons of people are visiting. If you're one of the lucky ones who come for a visit, please check out this post for some excellent ideas and tips. The United Arab Emirates, or UAE, is a bright, modern country situated on the northeastern coast of the Arabian Peninsula, next to Saudi Arabia and Oman. Whether you’ve come to the country for the capital city, Abu Dhabi, well-known Dubai, or somewhere else, you’re guaranteed to have a special and fantastic time. But in order to ensure a marvelous time, you’ll want to do a bit of research first. If you’re from the United States, Canada, or one of the EU member countries, you won’t need to worry about obtaining a visa ahead of time as long as your stay will be shorter than 30 days. But when entering the country, you’ll need to be very careful of what you have in your luggage. The UAE is a predominantly Muslim country, and as such, non-Muslim visitors are only permitted to bring in up to four bottles of alcohol per person. Medications are highly regulated, with many requiring a signed and notarized doctor’s note—and if you don’t have the correct documentation, you can be fined or even jailed! Also important to note is that sometimes even if you believe you have the correct documentation, it won’t be accepted. Your best bet is to leave all non-vital medications back home. Figuring out where to go depends on what you’re interested in. If you’re looking for some interesting shopping away from the glitzy malls, Abu Dhabi has actually done away with most of its traditional souks or markets—for these, you’re better off visiting Dubai. Still, although both have beaches, Abu Dhabi’s beaches can’t be beat. But a visit to either city means you can check out camel racing or head out to the dunes in an SUV. You’ll need to investigate your options and choose carefully. If you’re looking to get out of the cities, you again have plenty of options. Try heading to the coast for some lovely beaches or to the wadis in the northern parts of the country. And the sand dunes to the south of Abu Dhabi are certainly not to be missed—they’re among the largest in the world! A major draw of the UAE is its shopping malls, and there’s a reason for that. Actually, The Dubai Mall, with over 1000 shops for you to choose from, is currently the largest mall in the world. Worried about getting lost? The mall is big enough to warrant its own app that includes maps, events, a way to save your parking location, and more. Make sure to set up a VPN app on your iPhone prior to using it abroad, though! Or if that’s too overwhelming, visit the Mall of the Emirates, which is large enough that it includes the third-largest indoor ski resort in the world. Although at only five runs and 85m of vertical drop, it’s not the best ski resort in the world, it is definitely an experience! Be aware that at many major malls, you might find salespeople following you around. They’re partly trying to make sure your every need is seen to—but there’s also a big problem with shoplifting in a lot of places. Getting followed around can get annoying at times, but you shouldn’t feel like they’re picking on you. And know that although bargaining is the norm at most smaller or independent shops, this is considered rude at many of the larger mall shops or chain stores. But it’s also important to know that many businesses take their weekend on Fridays and Saturdays, with some places also closing early on Thursdays. And if you visit during Ramadan, expect for shops to keep shorter hours and for restaurants to be closed during the daylight hours, as the Muslims will be observing the fast. Of course, all this shopping will add up quickly! Whether you’re travelling on a budget or have allotted most of your budget for shopping rather than sightseeing, you’ll likely want to be aware of your cheaper options for things to do. No matter where you go, you’ll have an intriguing time just walking around and looking at the architecture or people-watching. Or if you’re in either Abu Dhabi or Dubai, take a stroll along the waterfront and check out the local markets. In Abu Dhabi, you’ll absolutely want to head to the Sheikh Zayed Grand Mosque—not only can you enter the mosque for free on your own, but they also offer free guided tours. Or wander around the Abu Dhabi Heritage Village, where you can watch locals make traditional handicrafts or take a ride on a camel. If you’re interested in camels, head to the free Dubai Camel Museum, which will tell you all about this animal’s impact on life in this part of the world and about the anatomic structure of a camel—it’s a bit quirky, but it can be interesting before heading out to free viewing of the camel races! For something more mainstream, check out the Dubai Museum—although not free, the admission fee is less than $1, so it’s not too bad, and you’ll be able to see tons of exhibits about life in the area prior to its modern glory. The population of the UAE is mostly Muslim—more than 90%—and that’s clearly reflected in the societal norms. Most movies and other forms of media and entertainment are heavily censored, and although visitors aren’t required to uphold the traditional dress code or to cover their heads outside of mosques, it is still recommended that you wear loose clothing. Short sleeves are okay, and so are shorts or skirts, but you should take care to not wear anything cut above knee-length. And remember to bring clothes made of breathable fabrics too, as the climate is very warm and sunny, and during the summer, it can get quite humid! Although something of a novelty in the UAE, women needn’t be overly worried about travelling alone. You may find yourself the subject of some unwanted attention, but very rarely will this amount to anything serious. Sexual harassment is considered serious by the police, so if you have any problems, be sure to make a lot of noise and embarrass the perpetrator. 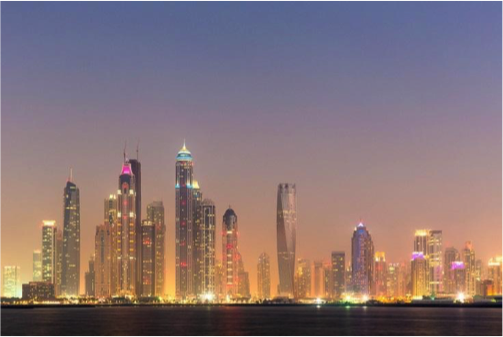 Some of the laws or customs that are strictly upheld in the UAE may be very different from what you’re used to back home, but if you do a little prior research and take care, you’re in for an excellent trip to this fascinating country. A good rule of thumb is to act perhaps a bit more conservatively than you might be used to; a bit of cultural literacy will go a long way! You might find yourself returning to visit this enchanting nation—or coming to live there—for much longer than you had originally thought you might.